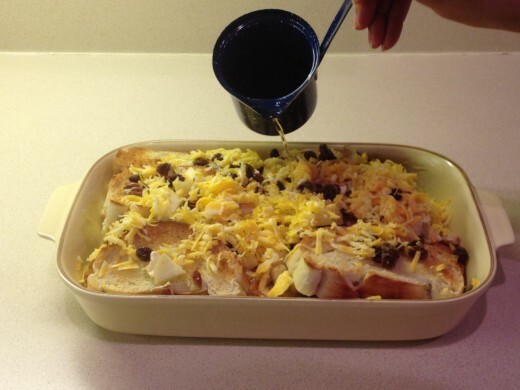 A Lenten tradition in many Hispanic homes is enjoying a Mexican Bread Pudding, called Capirotada (pronounced cop-e-roe-ta-da), as a main dish meal. This pudding is basically made of bread, nuts, fruit, cinnamon, brown sugar and cheese. If you dine at several Spanish homes during this season, you will most likely get a different version of this dish each time. When my mother served this dish, most of my siblings loved it and would devour it in very little time. I, however, did not particularly care for the dish, as it had little taste for me as a main meal. I always hoped my mom would return to the kitchen and bring out additional food choices, but it never happened. The truth is, as a child, I always thought that raisins were a poor substitute for chocolate chips (yes, I grimaced even when she put them in the oatmeal cookies she baked) and to me the whole dish was just a dessert with little flavor. Now however, I make this dish because it is a great meatless dish choice for Lent and I have learned to love the flavors of the ingredients mixed together, even the raisins! And, somehow my mom did manage to convince me that the dish was worth serving as a family meal. As she knew, the cheese and nuts provide much needed protein during this meatless season. I do have my own recipe version of this as well, which I will share with you below. The next time you crave chocolate and feel adventurous, try a cup of traditional Mexican Hot Chocolate. It's not just comfort food. It's liquid health and pleasure in a mug! How Can One Dish Be So Versatile? As I previously mentioned, this dish can be served many ways. It is similar to the chili recipes we enjoy in the states. For example, I have traveled throughout the US and have found chili to contain a large variety of meats. Some chili meat choices I have experienced are buffalo, turkey (not so bad), possum, rattlesnake, iguana and gator. Not that we will see any of this in Capirotada, but you can understand how a recipe will change to meet the ideals of the region or culture. It is also hiemal and served more often during the early months of the year, becoming almost a comfort food. And, I suppose that if one chose to do so, it would serve as a good dessert for company. Some families do add mincemeat to the dish, which gives it a little more of a "meat" taste. Let's look at some of the ingredients that can be varied with, included or substituted. The Piloncillo sugar cone mentioned above can be found in most Mexican grocery stores. It is a solid packed dark brown sugar that is placed in the saucepan and does melt down with the heat. (See the Amazon link below for a picture of the cone). So, if you decide to try this recipe, feel free to add new ingredients of your choice. It may become a new capirotada trend! Combine the first three ingredients in a medium saucepan and bring to a boil. For a sweet, tangy flavor you can also add half of an orange (medium size, boil peel and all) and three to four cloves to this syrup mixture. Reduce heat; simmer ten minutes. Discard cinnamon sticks, orange and cloves. Note: you may want to keep this syrup on low while you complete the other steps to the recipe. Layer in a buttered casserole dish the bread, nuts, raisins (I add cubed apple pieces), and butter. Pour the warm syrup over the entire layered food, making sure that you evenly distribute the syrup over all the ingredients. I will pour a half-cup of warm water over the dish if the syrup doesn't soak everything. This is to ensure the bread softens into a pudding texture. Top with cheese. Cover the dish with foil and bake in a 350 degree oven for twenty minutes. Uncover and bake an additional fifteen minutes or until the cheese is a golden brown. Serve warm. This morning I made capirotada and enjoyed every last bit of it with a cup of coffee. It reminded me that a tradition catches on because it begins in the heart and captures your soul. I plan to make this for my grandchildren as well so that they too can experience and learn from this warm family tradition. If you have your own version of this recipe, please mention it below. Also, listing Lenten food traditions your family enjoys would only add interest to this hub article. I love bread pudding and I'm sure that your bread pudding would be delicious. The ingredients seem great. Thanks for sharing the recipe. Voted up! I make what is a southern bread pudding. I love it warm with butter. This sounds like a great variation. I have bookmarked this Hub. I thought I had read this one---but I guess I did not. I always try to read your hubs when I am online---especially your recipes. And, now I am hungry it looks so delicious. I fix cheese and macaroni with a large green salad sprinkled with nuts for a good protein meal. Notice I called it "Cheese and Macaroni" because I use different cheeses to make it without milk or eggs. Very unique Recipe. It looks delicious. Though I have eaten bread pudding this recipe with its variations is worth a try. It looks yummy. Thanks for sharing Dianna. Voted up and shared. Cooking is my passion and I love new recipes from other cuisines. Mexican is one of my favorite. Thank you for sharing this with us. Voted up!!! Teaches, this is amazing! Bread pudding sounds delicious. Looks so mouth watering. I am going to make for the girls. Thanks for sharing it. Voted up! This looks absolutely delicious! I'll definitely try this with figs! Can this be made with wheat bread as well, or will that alter the taste a little too much? This recipe looks soooo goood - hope I can con, errr, ask my wife to make it for me. Thanks for sharing, it looks fantastic. Cardisa, I think I would enjoy your version of bread pudding. It sounds so yummy. Yes, most of us do not enjoy the benefits and taste of raisins until we are much older. I appreciate your stopping by and your contribution to the subject. Take care. Hi, RTalloni! 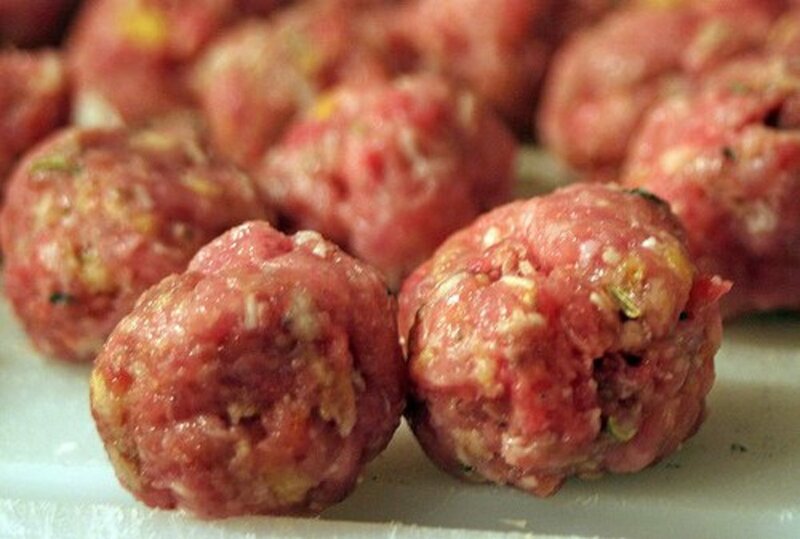 Sure glad that you stopped in for a visit, this is one of my favorite dishes and I make it when I need some sweet protein. Take care. Hello lindacee! Thanks for the visit and your wonderful contribution to the topic. It's a great recipe and one that will prove itself once you take your first sip. Sorry for the delay in responding. Be well and safe. Hello, Christy! I didn't get this email alert on your visit. Sorry for the delay in responding to your kiind comment. This chocolate is one of my favorite drinks anytime. Thanks for your visit and support. Hello festersporling1, I am sorry for the delay in getting back to you. For some reaons, I did not get this comment email alert. Thank you for visiting and leaving such a nice comment. Try it sometime when you need some comfort. Take care. Your capirotada sounds wonderful for anytime of year! Thanks for sharing your version, and for sharing your perspective on how a tradition catches on--how true! The sweet and savory combination sounds very tasty! I'm a bread pudding fan, and am happy to have discovered this one thanks to your Hub. Your easy-to-follow instructions and helpful nutritional information make this recipe a keeper. Can't wait to make Capirotada! Voted up useful and awesome (wish there were a "yummy" vote too)! A very useful hub! Well done and it looks tasty in your photos too. Mexican Bread Pudding what a delicious meal.Maybe i will try this one. Thanks for this wonderful hub teaches12345. Thank you vespawoolf for stopping in to visit. I appreciate your comment and reflectio on the recipe. I am sorry for the delay in getting this thank you back to you. I must have missed it somehow in my email alerts. Take care. Hello Blond Logic! I hope that you get to try this some day when you feel a little adventurous. It is quite good. I am so thankful for your visit and comment. Please accept my apology for not responding sooner, for some reason I didn't get a lot of the hubber's responses on this hub. BE well and safe. Billips, It is a lot better tasting than what it may look for sure. I do love bread pudding on occasion, it's more my hubbys favorite dish. Yes, lots of variety out there fore sure. Thanks for visiting and please accept my apology for not responding sooner, I didn't get the message that you had. So sorry. Hello Victoria. Yes, replace those raisins with chocolate chips, it will only add to the flavor. I am so sorry for responding late on this comment. I am apologizing to hubbers because, for some unknown reason, I didn't get the message on comments. Hope you have a great evening. Justmesuzanne, Thank you for coming in for a visit and for your kind comment. I am so sorry that I didn't respond sooner. For some reason, I didn't get the message alert on your comment. Please forgive my delay. Take care. Thank you 2besure for sharing this hub. You are so kind and I appreciate your visit. I apologize for the delay in responding to your comment. For some unknown reason I didn't get any alert to it. Be careful and well! Hello, Sparklea! I am glad that you enjoyed the read on this hub. Sorry for the delay in getting back to you on this hub comment. I didn't get the message of your response for some reason. I hope you had a wonderful Easter! Hello, DeBorrah! I am so sorry for the delay in resonding to your comment. For some reason, I didn't get the message on several of the hubber comments. Anyways, I appreciate your support and taking time to visit. BE well and safe! Hello crisina! Thank you for your comments on this hub article, I appreciate your support and visits. I am sorry for the delay in responding to your comment, for some reason I didn't get the message. Blessings! Thanks, formosangirl, for commenting on this hub. I didn't get a notice that you had left a comment, sorry for the delay in getting back to you. It is a bit healthy, guess cause it is a meal in one dish. Thank you so much for your continued support of my writing. Be well in life. I hope that you did get to try this dish, Alocsin. For some reason, I never got the notice that you or the following hubbers commented on this hub. Anyways, thank you for commenting and visiting this hub. The dish is a favorite of our family's and we do have so many variations, even within sibling recipes. Thanks for the votes of support. Take care. This recipe looks fabulous! Bread pudding is common in Peru, but the ingredients used here are very different. 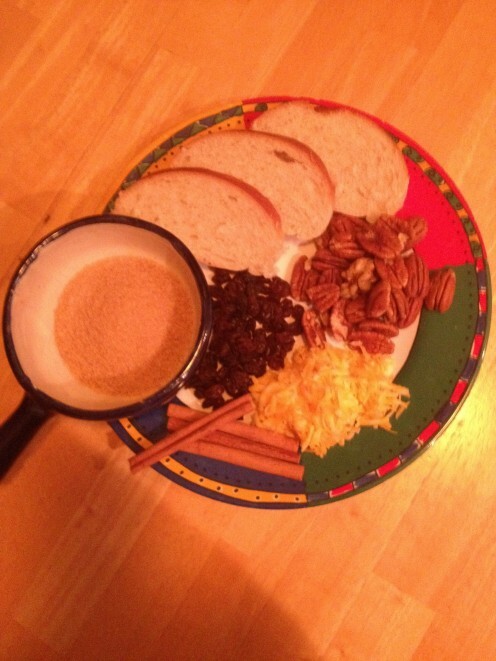 I've added this to my list of recipes to try...thank you for sharing! I have never heard of this before. I will have to try it out. I love bread pudding but have never tried it with cheese. This looks wonderful - not only tasty, but so nutritious - bread pudding is considered a rather humble dessert - strange, because I have never met anyone who didn't love it - everyone seems to have their favorite version - I will definitely try yours - B. Sounds good, really, but are you sure I can't replace the raisins with chocolate chips? LOL! Well written hub. And I love your plates in the pics! Many votes! Thanks for sharing with us one of you family favorites. I love bread pudding and love the versatility of the dish! Voted up and socially shared. Teaches12345, Nice hub! Delicioso! Sounds like a very nice recipe for Mexican bread pudding! Thank you for sharing, Peace & Blessings! Great hub, great recipe. This recipe is just on time for the celebration of the lenten season which is just about a week from now.Thank you for sharing this here at Hubpages. Remain blessed always. Best regards. The dish sounds delicious, and it sounds so healthful, too. Voted up and useful. Despite the strong influence of Mexican culture in my area (L.A.), I have never seen nor heard of this yummy dish. I don't have the skill to put it together but I'll see if any restaurants serve it during Lent. Voting this Up and Useful. I do understand your distaste for the dish. It wasn't until the last few years that I have been able to enjoy it. I think it is because I have changed the recipe a bit to include different ingredients (sorry, mom). Let me know how you do with the dish at mom's. Thanks for the visit and kind comment. I would love to have some of that Texas made pudding, Billybuc! It must be good if it has so many awards. People don't really eat bread pudding these days due to the calories, but what's that in comparison to fulfilling your cravings? Do try it! Thanks for the visit and for leaving a comment. 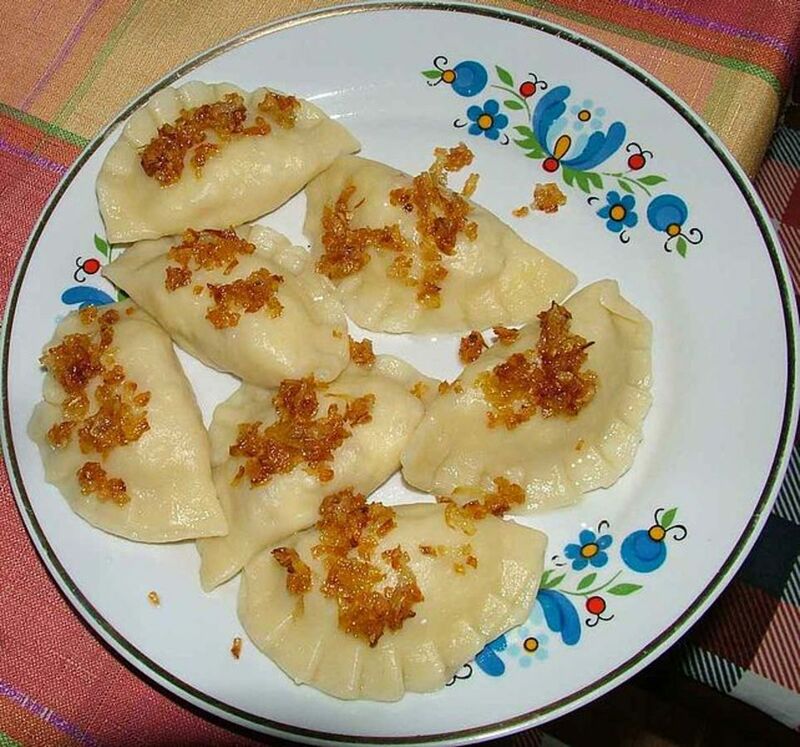 Thank you for sharing this cultural and lenten dish. Hello Katrine. I heard there is a similar Jewish dish served during certain holiday celebrations but other than that I do believe this is unique to Spanish cultures. Our Mexican cooking at home is different from the restraurant menu selections that tend to be a little more spicy and filling. I will have to post some other dishes of such content later. Thanks for the visit, it is always good to see you on my hubs. I write blogs for a restaurant in Fort Worth and one of their specialties is bread pudding. Mind you the owner and chef is Nigerian born but his bread pudding has won awards all around Texas. Go figure! I have never had it but I'm thinking, after reading this, that I need to do so. Great hub Teaches! I think cheese is a rarity in bread puddings of any culture but I do believe it adds a good taste and texture to this recipe. Thanks for your stopping in to comment and visit awhile. Love your sense of humor, albertsj! DRBJ asked me this question and I had to agree that - yes, by all means, it would be great in this dish (you know how much I love chocolate). It is different but if you do try it let me know how you like it. Thanks for the visit and comment. I love bread pudding but never had with cheese, very interesting, will have to try it! Millionaire, I couldn't not eat this dish as a child without making a face. My mom continued to serve it anyways, I am sure you can relate. As you say, our tastes change over time, for the better mostly, and I do make and serve this dish in rememberance of my mom. Thanks for the visit and for leaving a comment. Irish, I hope you like it. I think this dish is probably one that will satisfy almost any taste preference in some way or another. Thanks for stopping by and leaving a comment. Have a great evening! I am glad that you are not afraid to try new things, Ruchira. I hope that you enjoy this dish. Thanks for the visit and comment. That looks really really good - I am going to have to try it. It is amazing how our tastes change over time. There are many things I absolutely detested as I was growing up, but really love today. I love bread pudding but his is gonna be a first time...thanks teaches12345...will give it a try. Hello Eiddewn, pretty writer's name that you have! Thank you for the visit and your positive comment. I hope you enjoy the recipe some time with a friend or two. Take care. Mmm a great recipe for me to bookmark;I now look forward to reading many more of your hubs. Bread Pudding is not often found on restarant menus or even at home. So when it is offered, my husband always orders it. Glad you liked the recipe. Thank you, Savanahl, I am glad that you found it delicious and willing to try it. We'll have to try this. I'm a big fan of bread pudding! What a lovely tradition and delicious looking dishes. I love trying new things and I'll definitely be bookmarking this. Thanks for sharing. Hello Movie Master! 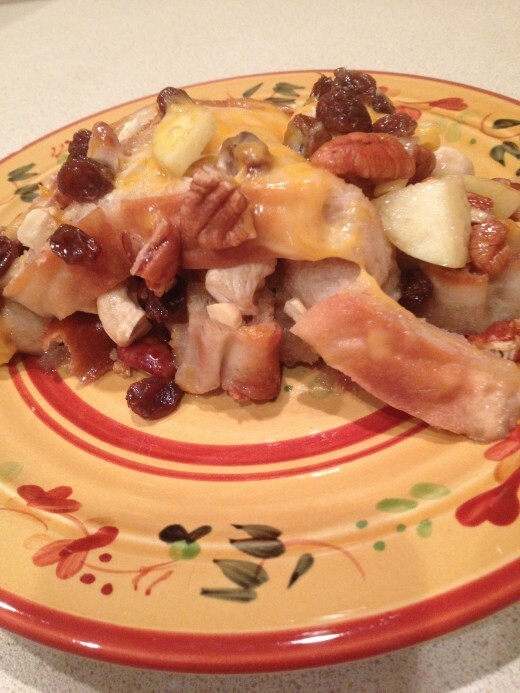 My hubby is a bread pudding lover and he loves this recipe. So, I guess that puts it up pretty high on the list of "Yummy" for us. I hope you enjoy it and don't forget to add some of the different ingredients to add some interest. Enjoy! Ustad, this is a truly delicious meal in itself and I hope you do get to try it soon. Let me know how you like it. Take care. I am glad you are willing to try it, sofs. I hope you enjoy it, even as a dessert. Don't forget the tea or coffee. Thanks you for stopping in for a visit. It is almost dessert, which is why I didn't really care for it as a child. I expected more of a meaty casserole. However, it is rather tasty and worth a try. Thanks for your visit, kind comments and votes of support. Be well. This is so different to the bread pudding recipe I know and I'm looking forward to trying, it sounds yummy! this recipe seems delicious.. i would try it soon.. Interesting and simple, I agree with Peggy.. I would serve it as a dessert. I will try this out soon. Thanks for sharing. Have a great day. Your capirotada sounds almost dessert like. I have never had it but would certainly enjoy trying it. Thanks for your recipe and alternative ingredients in making it. Voted up and interesting + useful. Prasetio, it is a popular dish among Spanish people during Easter time. It is quite a dense dish so you really don't want to serve it that often. It would be like having cheesecake everyday. Thank you for stopping in and for you positive visit. See you around hubpages. 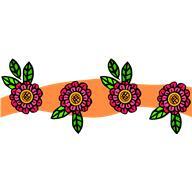 Thank you, urmilashukla23, for leaving a comment and for your visit here. I hope you try it sometime and enjoy the dish with a cup of coffee or tea. It is an old recipe but probably not as popular as the new trend for big cupcakes. Thank you for checking in and for your support. Glad to hear you mother is still blessing you and enjoying the long life God planned for her. Blessings. I had never know about Mexican bread pudding before. Thanks to introduce this with us. It looks delicious and Yummy. Take care and enjoy your day! Look yummy! Worth try. Thanks for sharing it. Bookmarked. What an interesting recipe. I had not heard of this one before, thanks for the information. Quickly she is still alive and quite well at 91 teaches , I know you would love to know this. Oh yes God has a plan I kind a know it and she is the reason . Thank you , I know you did not know. We speak of death as often as possible , we are not going to let if have the fearful power it instills on most. Anginwu, this would satisfy a carb lover with a good days requirement at one setting. Thanks for your lovely comments and kind support. Be well. It does have a good sweet, spicy, nutty taste to it, but I have to say that it takes some adjustment if you are not used to eating everything in one dish. I am having another serving shortly! Thanks for the support, Breakfastpop. Keep popping those hubs out! I love chocolate, so you are asking the wrong person if it a good idea! Absolutely add them in, it would add to the flavor of the meal. I will look at your hub, drbj, we chocoholics have to stick together and you article will back me up I'm sure. Thanks for the visit and support. Keep smiling! Love the presentation. I'm going to keep this in mind, i do love bread pudding. In general, I'm a carb lover, so this sounds like my kind of dessert. Thanks for sharing and rated up. The ingredients are mouthwatering! I know this has to taste fantastic . Although I am not the biggest fan of capirotada, your recipe looks interesting. You mentioned your taste for chocolate chips. Me, too. Would they be good to add? Just wonderin'. You might like to rad my hub, "Chocolate Benefits, Facts and Fun." It is serves everything in the kitchen complete in one meal, but has such a great flavor when all are mingled together. Fiddleman, I think you would enjoy it right before a good night's rest. You are a great friend and support! Blessings. Hey Sky! I love your support of moms! You are so right, they are always right and know what's best for us. Yours was a very wise woman. Thank you for your kind words, your faith is inspiring! God's best to you today as you journey forward. Rebecca, glad you liked the concept of the dish. It is very delicious, especially with a cup of hot coffee or tea. As always, your support and visit are much welcomed. As you mentioned, the idea of cheese and fruit is a new concept for many. I think this is what I didn't like as a child because I always liked my food separate on a plate. Yes, the cheese and nuts give you the protein you need for the day. I appreciate your positive visit. rbert00, my family was protestant but we still observed the lent season just as a way of honoring the concept of sacrifice during the season. We also served it during the cold winter seasons just as a treat. I hope you enjoy it. Your visit was most welcome! It does a little something in it for everyone and this fulfills the requirements for a full days meal. Thanks for the visit, Brandon, you are always welcome here! It's a simple enough dish to make but it does take a little time to make. Thanks for the visit and for leaving a comment. Be safe out there! Wonderful . That's why it's so important to listen to your mother. Didn't I tell you something! My mother said to her two male children. When you all see me cooking , don't make it your opportunity to go and play, she said come and learn how to cook , so that the women don't have nothing on you in the kitchen, when you grow up. Yes bread pudding is still one of my treats , but only in my favorite places like Brooklyn NY. I would gauge myself , that's where I ate the most in the early days. A beautiful hub and I know you are well meant , so my questions when I get stuck ,will be attended to , I told you you were special before this. God is great. Will be hitting NY soon , but can't wait. I have a special WI snack which is a meal when eaten , but these are not the hubs I will write, I will ask a few of my friends wives ans see. Great work teaches and God Bless. This looks delicious and I would love to try your recipe for this great sounding Mexican dish, capirotado. A unique sounding dish. Thanks for sharing this! I like the idea of combining cheese with fruit. This recipe sounds like a very tasty way to get some protein without using meat. I love your statement that a tradition may catch on "because it begins in the heart and captures your soul". What a beautiful idea! Thank you for sharing the recipe. I am absolutely gonna test-drive this one. I'm not Catholic so I don't observe Lent, but delicious food transcends all and this looks wonderful. This sounds like a very good tradition to pass on. I love dishes that can be served in a variety of ways and settings. 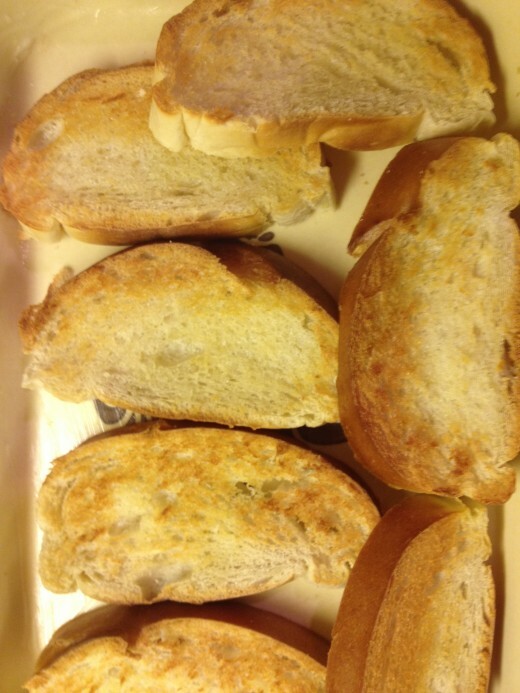 I love nuts, raisins, cheese, bread and sugar. This looks so tasty. Thanks for sharing the recipe and preparation guidelines. Voted up, useful, awesome, and interesting.